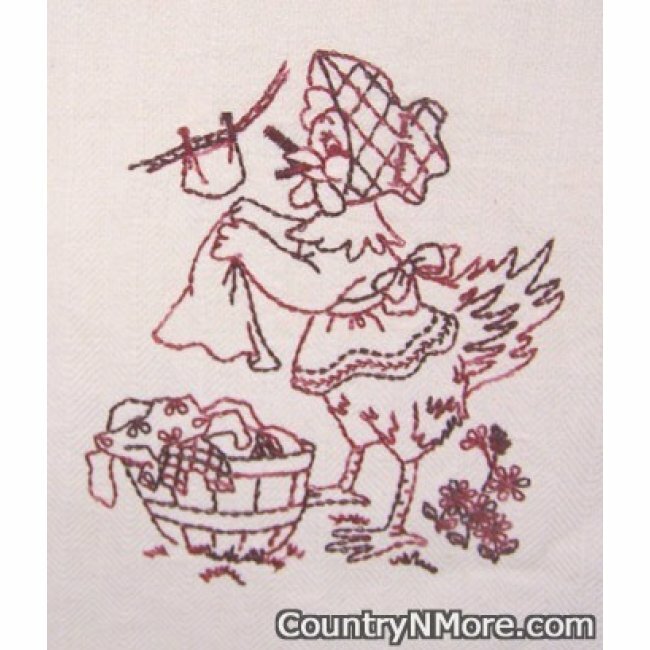 The laundry hen measures 5 1/4 inches wide by 6 inches tall.The mother chicken on this machine embroidered tea towel is going about her daily chores. This day, she is hanging on the laundry to dry on the clothesline. The design is done in variegated red colors. There are deep shades of burgundy and country reds. 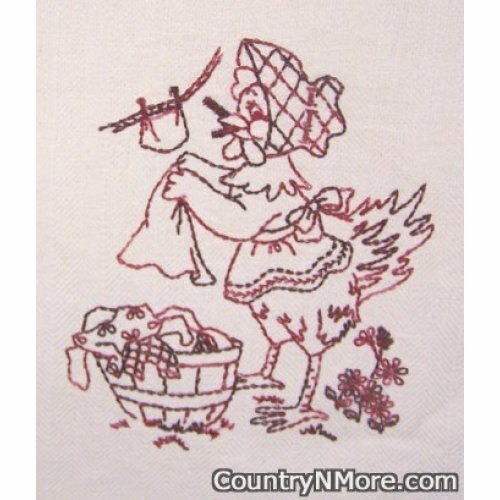 The design is taken from a vintage embroidery pattern and it looks terrific on this Dunroven tea towel. The towel is natural in color. On each side of the towel are two rows of burgundy stripes. 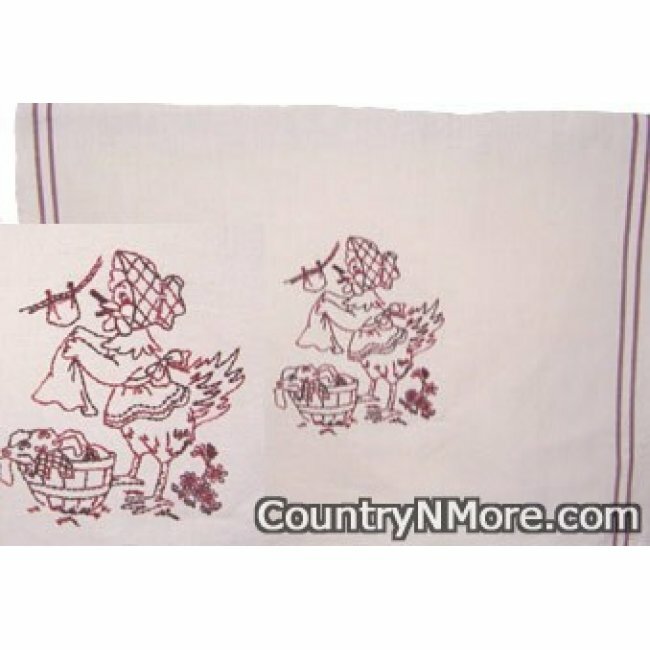 The towel measures 20 inches wide by 28 inches long.